1 Hour or 2 Hour Private Charter on the beautiful Lake Okanagan. Glide among the elite in a, Biltmore Composite Fibertoon, the ultimate in luxury and uncompromising rough water performance. A pristine synthesis of innovation, modern technology and detailed craftsmanship, the Biltmore Composite Fibertoon has proven itself as desirable, impressive, and ultimately fun for boaters around the world. Transportation is optional to and from the charter. The satisfaction of riding in this impressive vessel starts with its impeccably dry ride, untouchable by any other pontoon boat model on the market. With deluxe appointments including a full head with sink, baby-changing station, full windshield and cavernous storage, nothing exudes comfort like Biltmore. 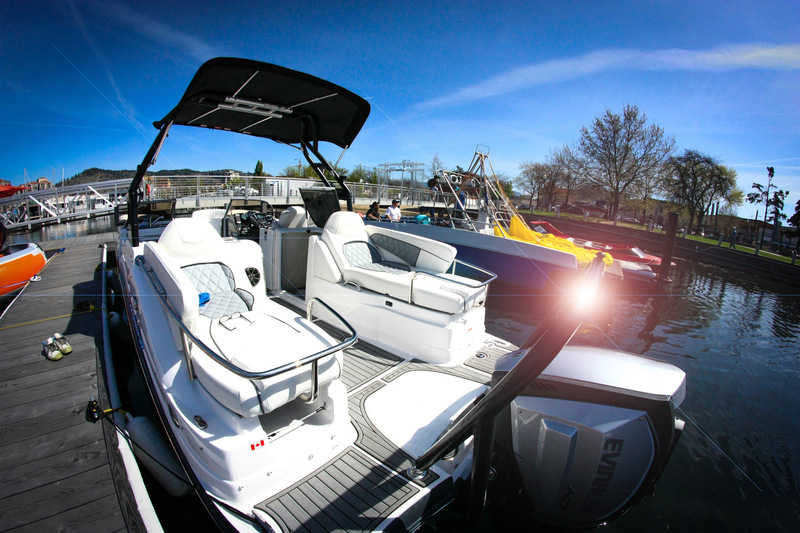 Biltmore is crafted and manufactured by renowned Canadian boat builder Campion, you can be assured that safety and value come first. For a luxurious, stress-free pontoon boating experience on the water, Biltmore hits all the qualifications. "See Lake Okanagan on the best boat with the best captain, Rob Lyzak. Rob is a TOTAL PRO. Safety first, meaning the entire family was able to relax, have fun and learn. This experience was so much better than renting a boat and driving around the lake. Rob is the perfect captain and host. He knows boats and his water toys are a blast. Book this charter!"